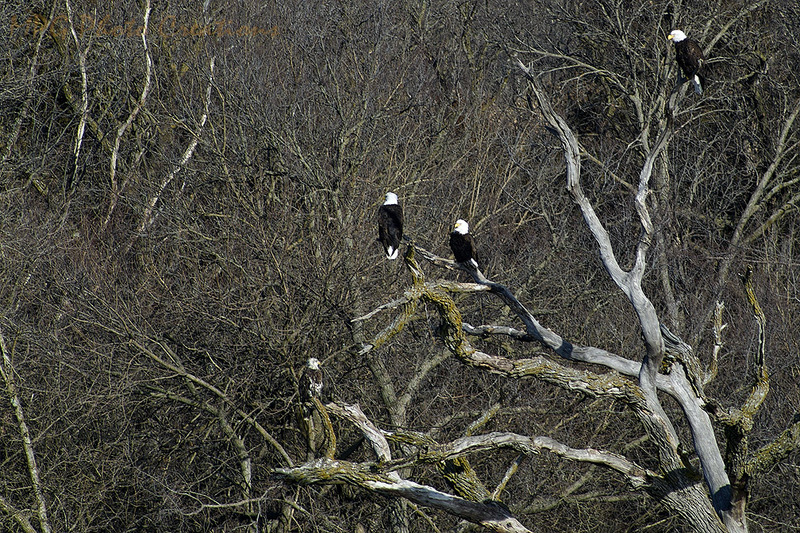 The Bald Eagles have been around for the winter. I was told about a place where I might be able to see several so on Saturday we went for a drive there and I was rewarded with seeing 6 of them! There were these 4 in the tree and then 2 others in 2 other trees. So well worth the drive out to see them. Days like this I wish I had a fancy wildlife lens.